93. The longer the growing season - the time it takes for grapes to reach full maturity - the more complex the resulting wines will be. That's why wines from warm-weather climates such as California are more flavorful and complex than wines from, as an example, Colorado. 94. 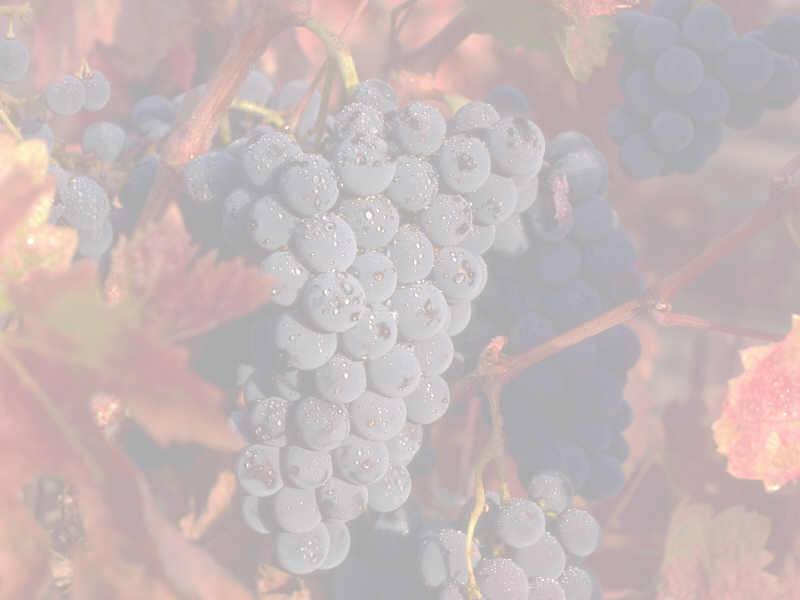 Although the "numbers" vary slightly by varietal, a ton of grapes will produce about 720 bottles (or 60 cases) of wine. With 12 bottles in a case and approximately five glasses per bottles, that's more than 3,600 glasses of wine. 95. Today, the standard size wine bottle holds 750 milliliters (a little over 25 ounces) of wine. During the first 200 hundred years that bottles were in use, their capacities ranged from 16 to 52 ounces. 96. The typical 5-ounce glass of red wine contains around 110 calories. If you're on a diet, drink white; the typical 5-ounce glass of white wine contains about 104 calories. Think you'll save significant calories by drinking grape juice? Wrong. The typical 5-ounce glass of grape juice contains 102 calories. 97. When planning a party, how much wine should you have on hand? In most cases, if you figure on one bottle per person, you probably won't run out. 98. As white wines get older, they get darker in color. As red wines get older, they get lighter in color. 99. A vast majority of all Bordeaux bottlings are blends of two or more grape varieties. Vintners believe they can achieve more complex flavors and more enjoyable wines through blending - and history shows them to be correct. 100. Wine of one kind or another is produced in all 50 states. However, upwards of 90 percent of all U.S. wine is produced in just one state: California. 101. At a cocktail party, you may find Champagne being served with caviar. But when the caviar is salty and the wine is delicate, it's not exactly a match made in heaven. One of the best matches all for Champagne: an "extra dry" (which means slightly sweet) bottling accompanied by sushi seasoned with ginger, wasabi and soy sauce. Champagne also matches nicely with many other foods, which is why it's the adult beverage of choice for brunch.